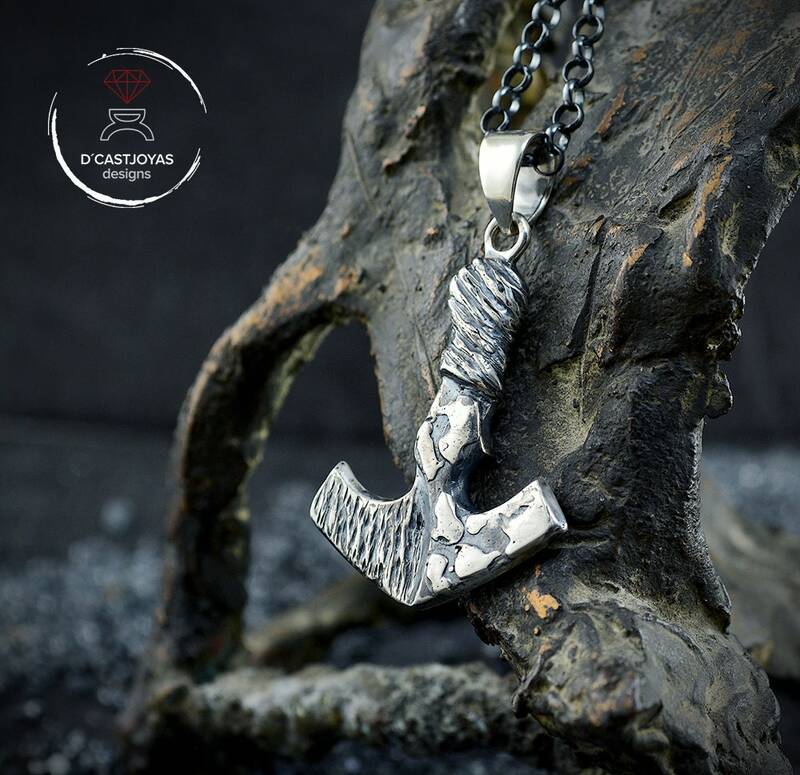 ** Mjolnir, hammer pendant of Thor, made by hand in solid sterling silver. The whole work process is handmade, so each of our pieces is unique. Here there are no 3d machines. First we made the carving in wax, modeling by hand. Later we melted metal and finally we went through and manually gave different finishes and textures. 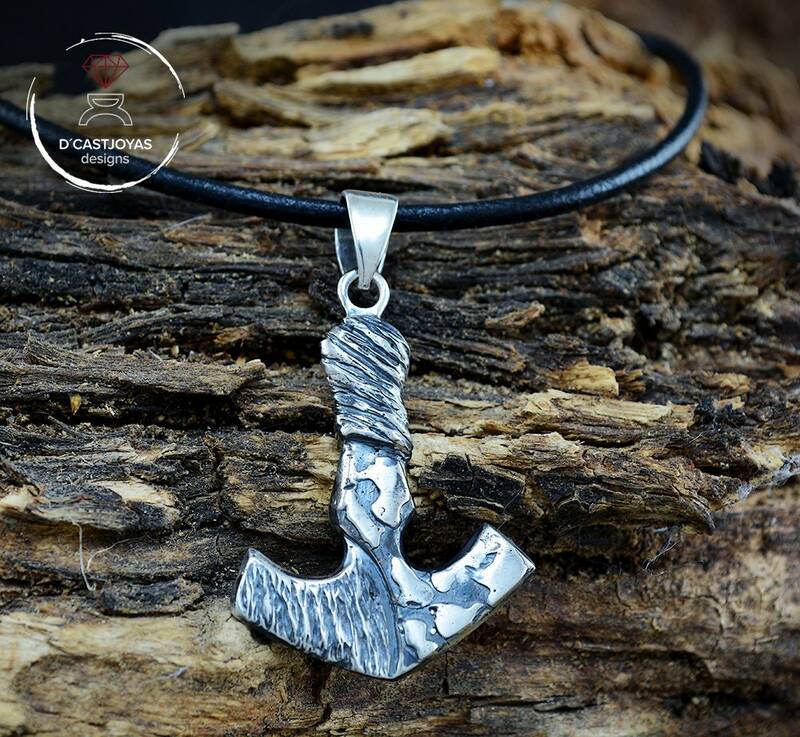 With this we have achieved a beautiful rustic pendant inspired by Viking jewelry. 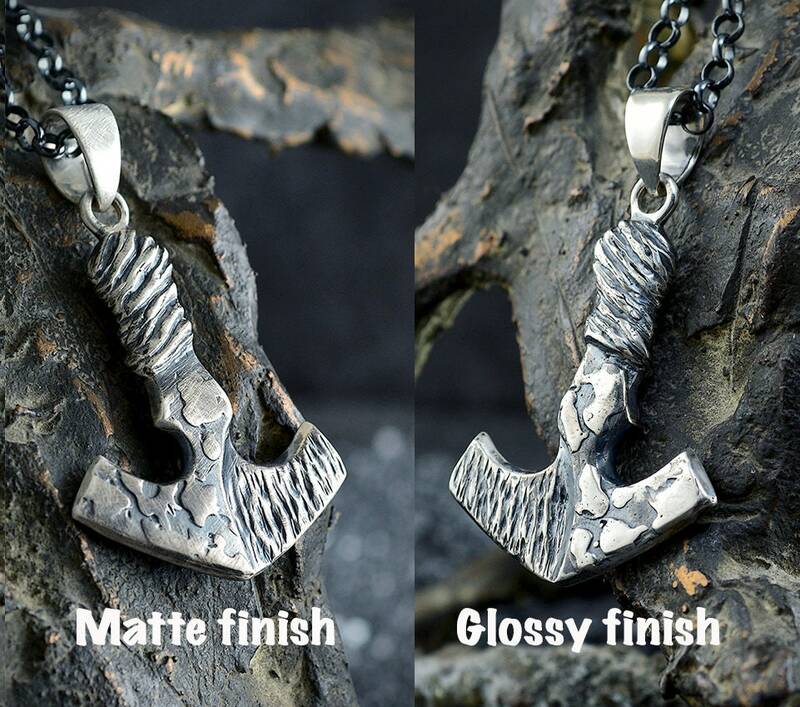 You can choose two finishes: rusty textures with gloss finish or matte finish. 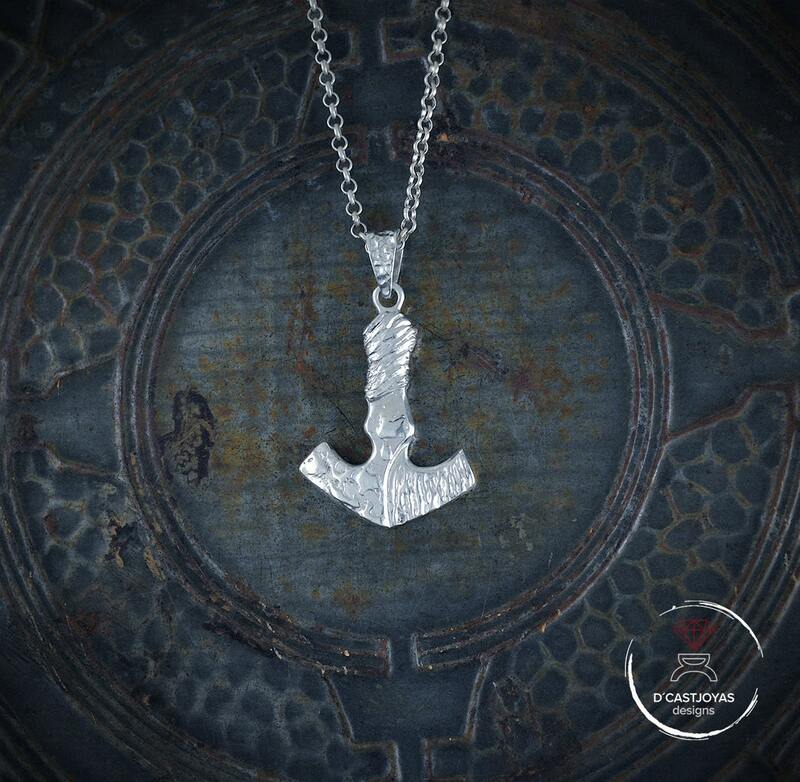 - Mjolnir means "demolisher" and refers to the ability to pulverize the hammer. 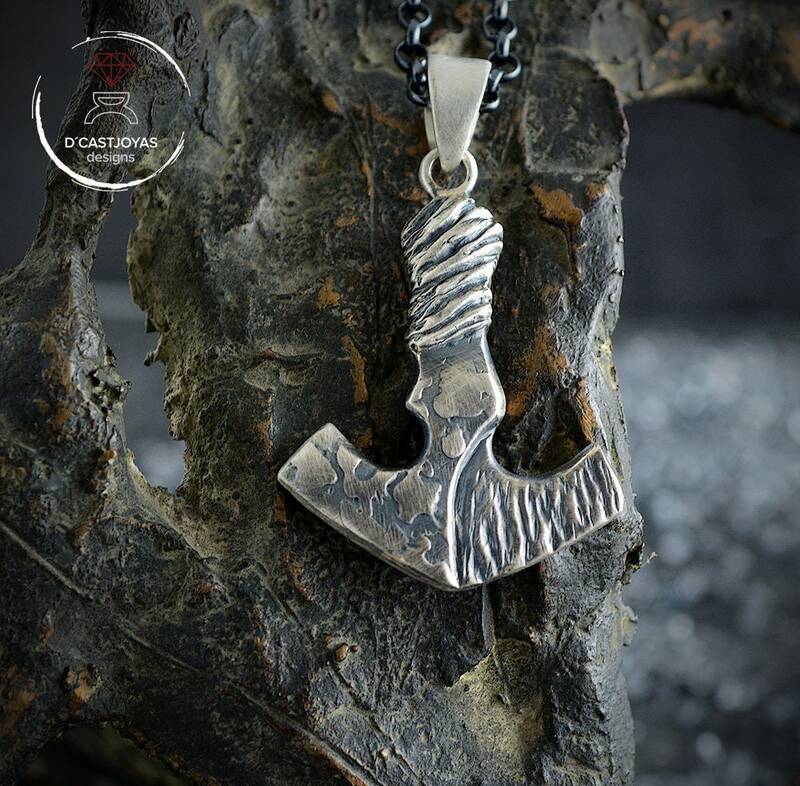 The hammer pendant Thor mjolnir provides the protection of the god Thor. It seems that the success of its power resides in its geometric form that makes positive energy flow to those who carry it. Protect from all evil. 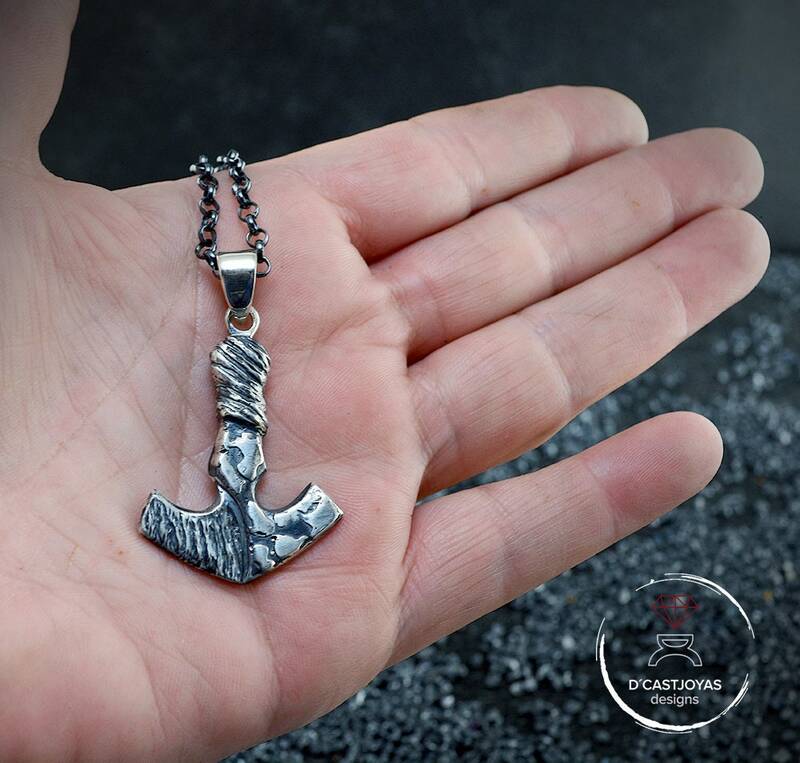 - It gives us strength and vigor against enemies. 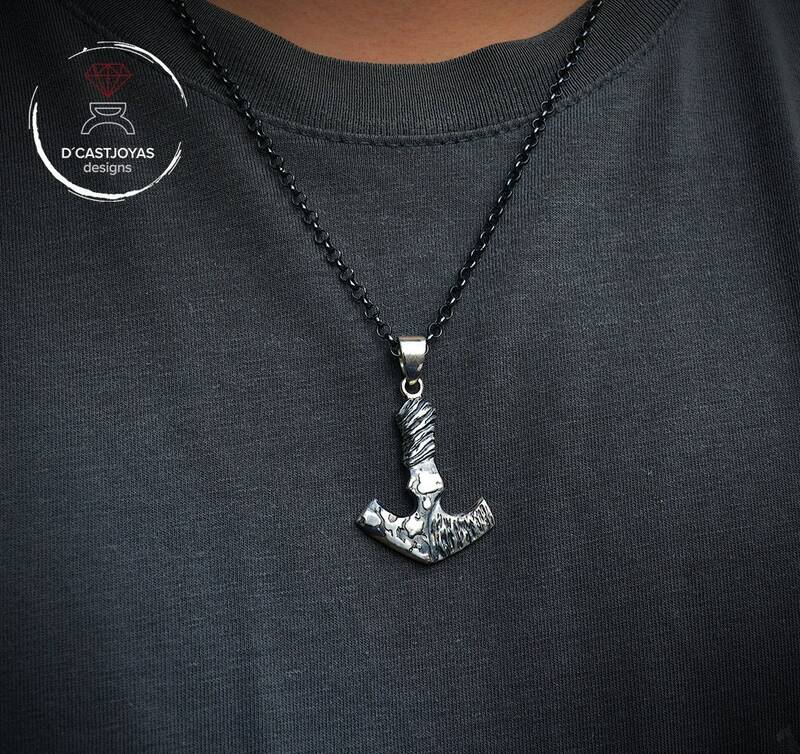 Carrying the hammer of Thor is going to favor that our enemies fall before us, because it gives us the necessary strength. - It's also a fertility amulet. A fertility that does not refer only to sexual ability, but also material, mental and spiritual. 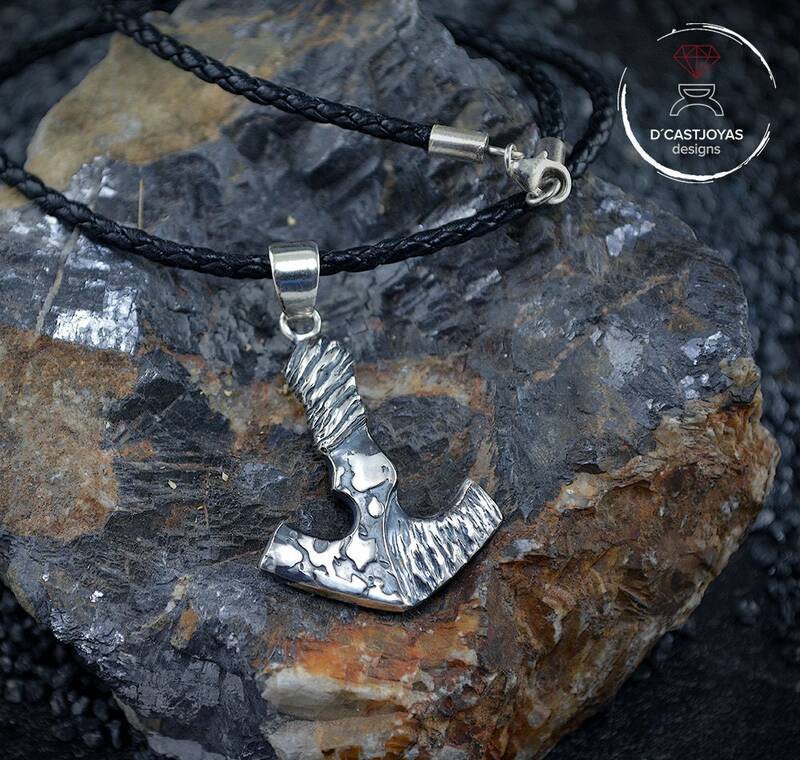 The Hammer of Thor is good when we want to make something prosper, be it a job, an idea, a project, a marriage, etc. That is why it is a good gift for someone who undertakes a new work project or a major change in their life. 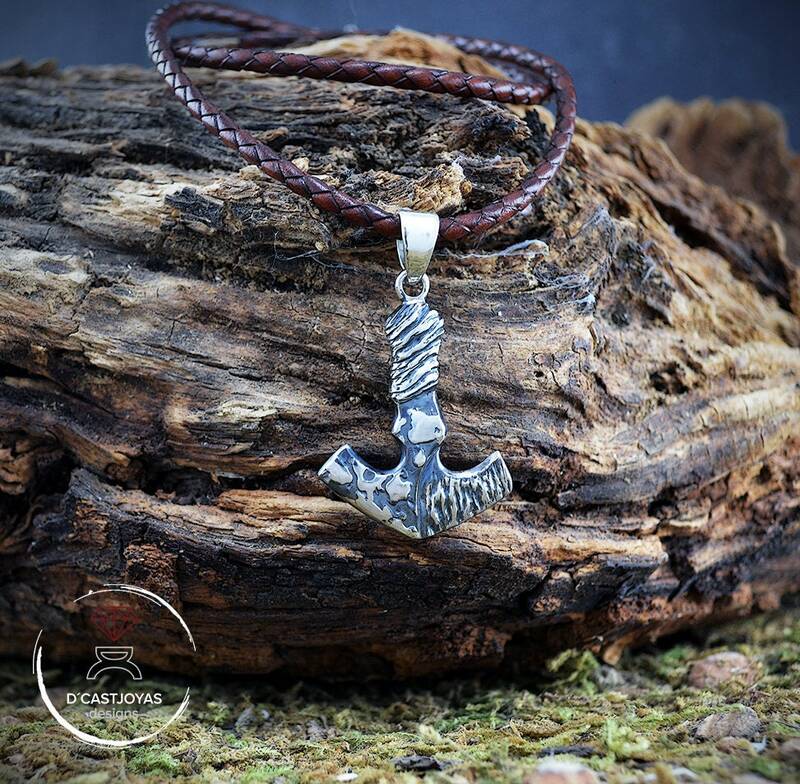 - This amulet also gives vigor and fecundity so it is excellent to improve sexual relations; especially masculine, although also feminine. 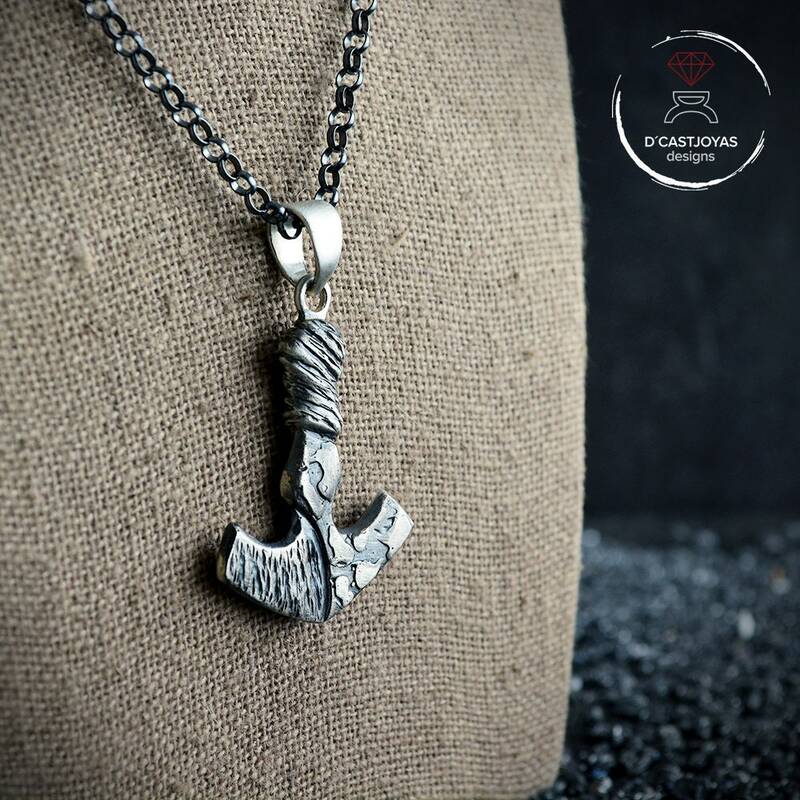 - We also have different chain models in silver to which, if you like, we give them an oxidation treatment to make them dark. Write us first and we inform you about models and prices. Great communication, fast shipping and most importantly a BEAUTIFUL piece.....VERY happy with the artist and his creation!